In the evening on August 7th, the Children’s CASIO Festival in Summer 2016, co-organized by Đoremi Music Electronic Company and Ninh Kiều district Children’s Cultural House, was closed. Contestants received awards in Casio Festival. 171 items were selected from kindergartens, primary schools, secondary schools, high schools, and music clubs inside and outside Ninh Kiều district. The organizers chose 31 best items in 2 genres of musical instruments, including Organ and Piano, of which, 26 prizes for live competitions, remaining for competitors through online video. 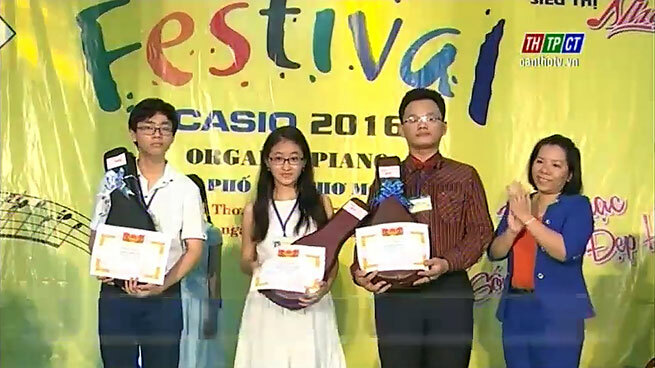 Ms. Mai Thiên Hương – eighth-grade student of Đoàn Thị Điểm High School ranked the 1st place for the 2 musical instruments./. Training Course on Planning Skills.